These two people are hard to find in the world. Which two? The one who is first to do a kindness, and the one who is grateful and thankful for a kindness done. As an imagemaker I study how the world around me looks and sounds through ordinary harmony and fittingness. I work daily with my camera and with words to compose beautiful “thought things” (Arendt, 1978) as a way to form ideas and to inspire reflection and rumination; perhaps start a conversation. My photographs are allegories for my understandings of human desire for settlement of spaces and places in which people and things fit together. I try to negotiate my subjectivities of looking and composing my “thought things” with (Scruton, 2009) ideas of why beauty matters, to see the remedy of beauty as an instrument of peace. Edmonton, Alberta ~ InFocus YEG ~ 15-02-21. Congratulations, Hedy – it’s a beautiful shot! Such a beautiful image. Congratulations! I wish you the best in your upcoming exhibition,your photographs are amazing!Congratulations!!! Lovely verse, and such a mystical photo. re: photo: intriguing and mystically! my IT guy wrote: there are 10 kinds of people in the world: those who understand binary, and those who don’t. where/when was the picture taken? 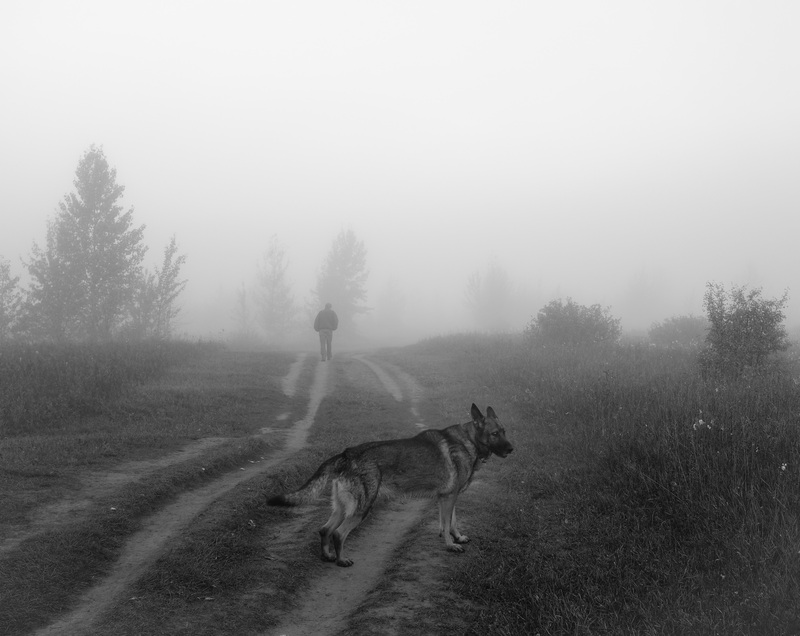 i took the photo early one foggy morning in September 2014…in Terwillegar Park, Edmonton, AB. thanks kindly for your comment…compose a happy day. “Man and Dog” what a brilliant shot…and it follows so very well with your written statement of “allegories for my understandings of human desire for settlement of spaces and places in which people and things fit together…” This photo is a perfect pictorial representation of such a thought. Beautiful work Hedy. A very special image – Outstanding!